I'm happy to announce that I'm now reviewing books for Dwarf+Giant, A Blog of The Last Bookstore. My focus is on fairy tales, folk tales and mythology - classics and re-tellings. Follow my reading progress on Goodreads. This review was originally published on October 14, 2016. 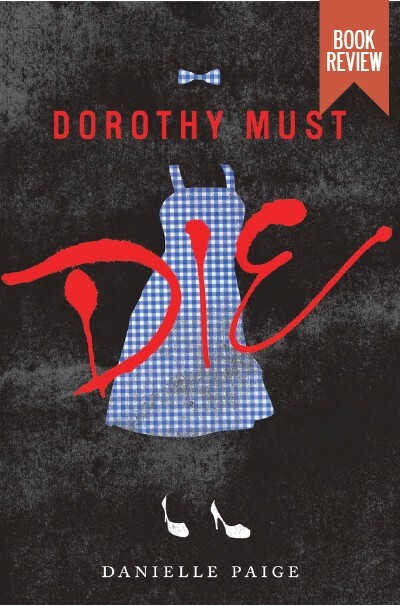 Dorothy Must Die isn’t so much a retelling of The Wizard of Oz as a continuation, an elaboration of Oz after Dorothy became a ruthless dictator and turned her companions into henchmen worthy of The Godfather. Amy is the protagonist, swept into a tornado after her alcoholic mother goes to a tornado drinking party and leaves her to fend for herself. Landing her trailer in Oz, she is assumed to be their saviour, her orders being simple: Dorothy Must Die. I had a hard time getting into Amy, the protagonist. At first I thought it was because we had so little in common (trailer park vs upper middle class, alcoholic mother vs stable nuclear family); then I realized that I felt too close to her experiences being bullied at school. It hurt too much for me to bear with relating to her. In a lot of ways I wish I reacted to bullying more like Amy did. Once we’re into the Oz part of the story, I flew through Amy’s journey. Struggling with who to believe and having a real stake in who is good vs who is evil is a pretty great hook. No icon of Oz is left standing here, and you get the feeling there is real danger. I didn’t read the summary to the second book, so to me, it was possible that Amy could have been killed before this book was done. That was a pretty great feeling to have as a reader, that anything was really possible and maybe this time, our heroine wouldn't overcome her training and doubts. I do wish there was a little more dimension to Dorothy, but I suppose that’s how the original villain (Wicked Witch of the West) is portrayed in the film…and maybe I’ll find the answer I seek in Paige’s prequels.